Jane Slalom Pro tyres size 270 x 47-203 and genuine Jane inner tubes with angled valves. 4 replacement tyres plus inner tubes for Bugaboo Donkey. The set includes 2 x 12" tyres plus inner tubes for the rear wheels and 2 x 39-177 tyres plus inner tubes for the front wheels. A perfect replacement for Bugaboo Donkey front wheels with tyre size 39-177 - plus an inner tube with an angled (bent) valve. A pair of top quality replacement inner tubes suitable for iCandy Apple, iCandy Pear, iCandy Peach and all makes and models with tyre size 280 x 65-203 and 280 x 62-203 . The inner tubes are fitted with angled valves. 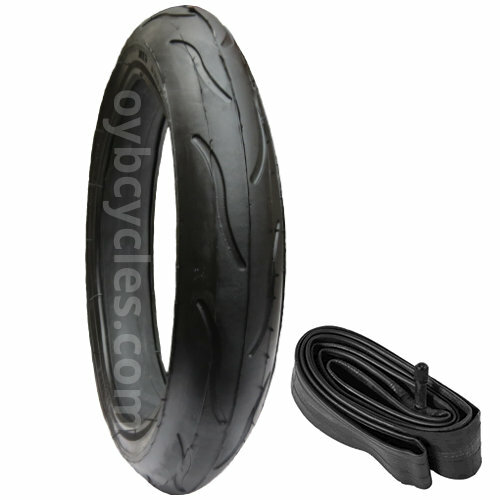 30023 - Out n About Nipper replacement inner tube 12"
A replacement inner tube with an angled (bent) valve suitable for Out n About Nipper fitted with tyre size 121/2 x 21/4. 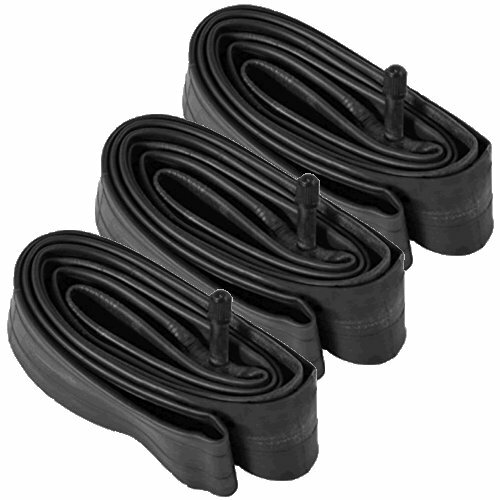 A set of 3 replacement inner tubes suitable for Out n About Nipper with tyre size 121/2 x 21/4. The inner tubes have angled (bent) valves. 30028 - Inner Tube 10"
This quality inner tube is fitted with an angled (bent) valve. Suitable for all pushchairs, prams, strollers and buggies with 10" wheels including: Mothercare My3 and My4, Maxi Cosi Mura, Phil & Teds Dot, Mountain Buggy Duet, Mountain Buggy Swift....Also suitable for some Hover Boards. This quality inner tube is suitable for iCandy Apple, iCandy Pear, iCandy Peach and all makes and models with tyre size 280x65-203, 280x62-203. It is fitted with an angled valve for easy inflation. This inner tube is for the large wheels. 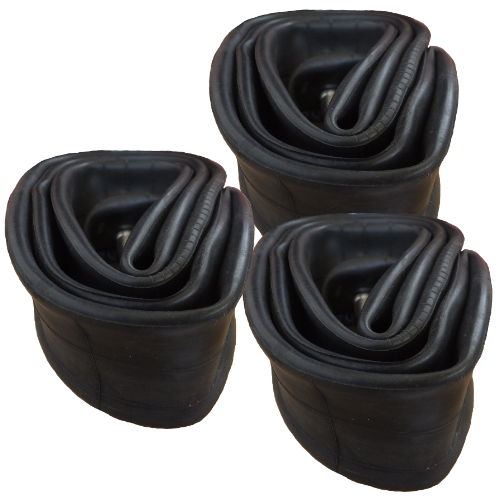 A pack of 3 replacement inner tubes for iCandy 3 Wheelers including the Apple, Pear, Peach... The inner tubes are fitted with angled valves for easier inflation. 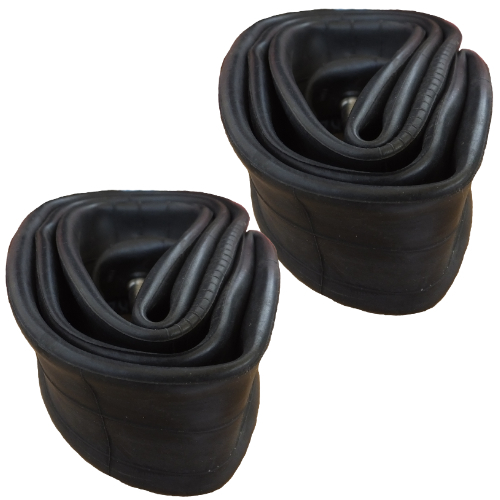 A top quality replacement inner tube fitted with a Schrader (car type) valve, suitable for Silvercross Elegance and other pushchairs and prams with 12" tyres. 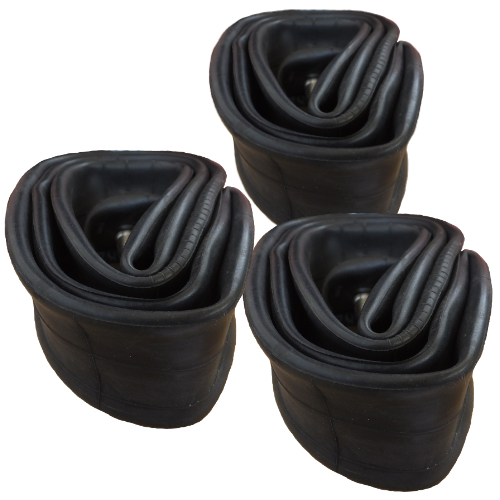 A set of 4 top quality replacement inner tubes suitable for Silvercross Elegance prams. The inner tubes are fitted with Schrader (car type) valves. 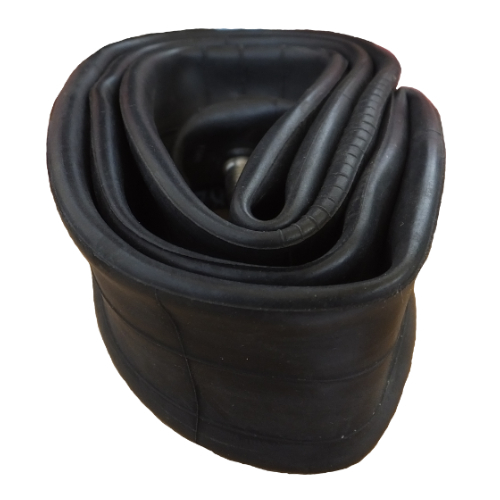 A top quality replacement inner tube fitted with an angled (bent) valve. Size 48 x 188. 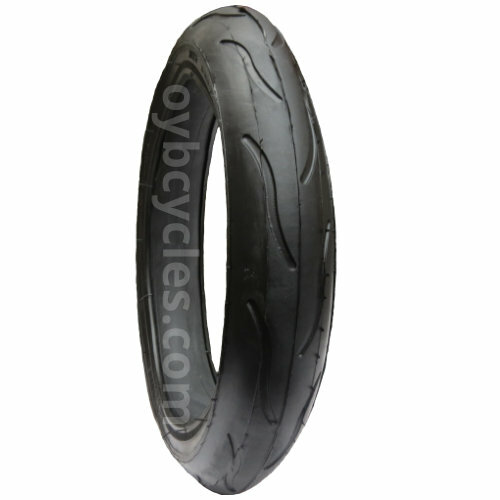 This inner tube is suitable for the front wheels on the Bebetto Vulcano. Reduce the risk of punctures with this Slime filled inner tube. Suitable for Jane 360 with 12" tyres. Reduce the risk of punctures with this Slime filled inner tube. Suitable for Out n About Nipper with 12" tyres. 30155 - Mamas & Papas 03 replacement inner tube 12"
A replacement inner tube with an angled (bent) valve suitable for Mamas & Papas 03 fitted with tyre size 121/2 x 21/4. 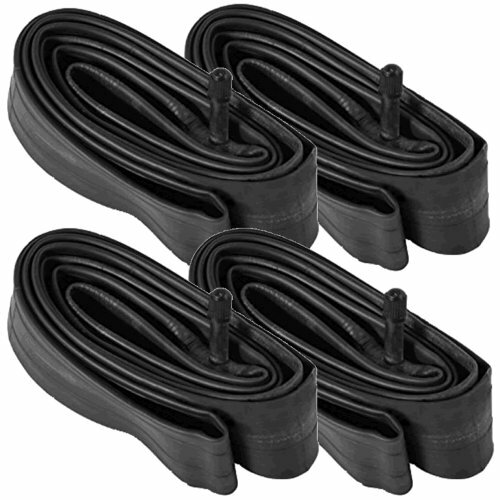 A set of 3 replacement inner tubes suitable for Mamas & Papas 03 with tyre size 121/2 x 21/4. The inner tubes have angled (bent) valves. Reduce the risk of punctures with this Slime filled inner tube. Suitable for Mamas & Papas 03 with 12" tyres. 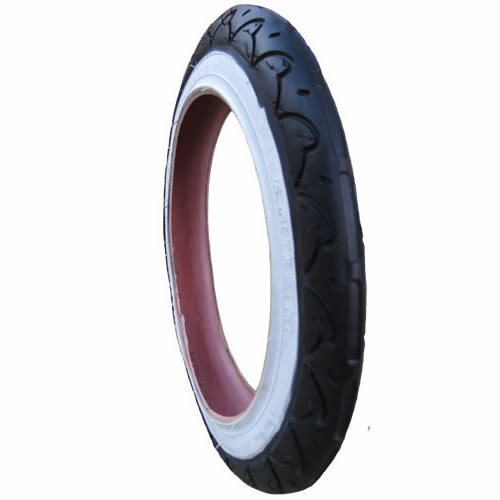 This top quality tyre is suitable for iCandy Apple, iCandy Pear, iCandy Peach and all other pushchairs, prams, strollers and buggies with wheel size 280 x 65-203 and 280 x 62-203. This tyre is for the large wheels. 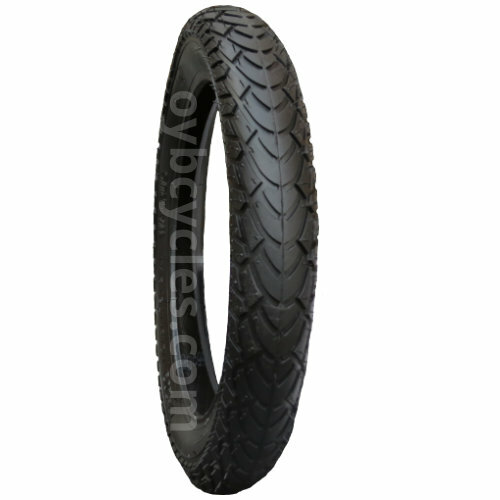 A tyre plus inner tube and Puncture Protection suitable for iCandy 3 wheeler front wheel with tyre size 255 x 50 or 255 x 60. 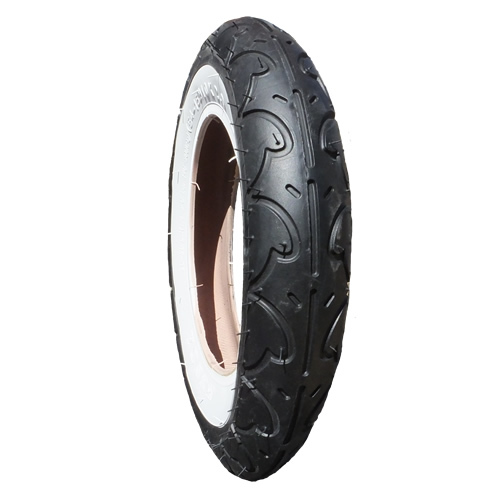 A tyre plus inner tube and Slime Protection suitable for iCandy front wheels with tyre size 255 x 50 and 255 x 60. 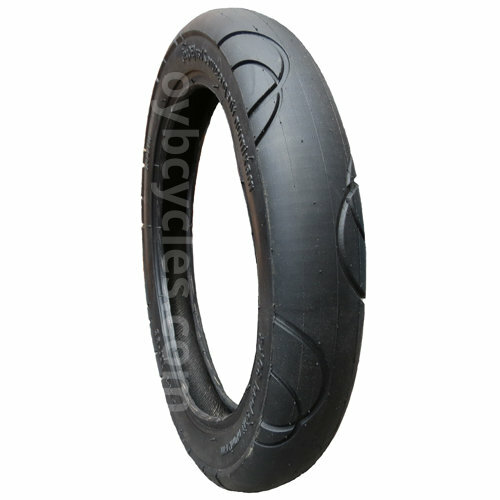 A tyre plus inner tube suitable for iCandy 3 wheeler front wheel with tyre size 255 x 50 or 255 x 60. These very hard to come by tyres are size: 60 x 230. They have an inner diameter of 230mm and an outer diameter of approx. 280mm. 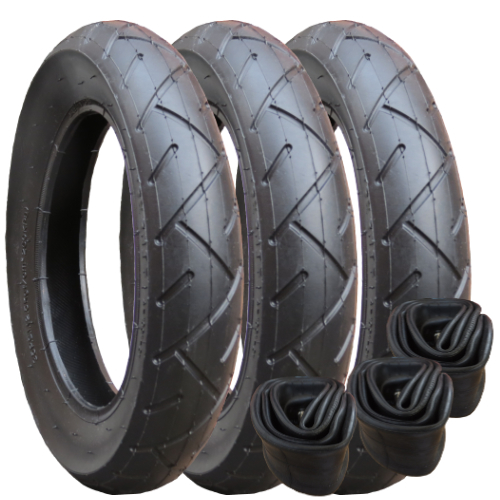 These tyres are suitable for the rear wheels on the Bebetto Vulcano. These very hard to come by tyres are size: 48 x 188. They have an inner diameter of 188mm and an outer diameter of approx. 230mm. 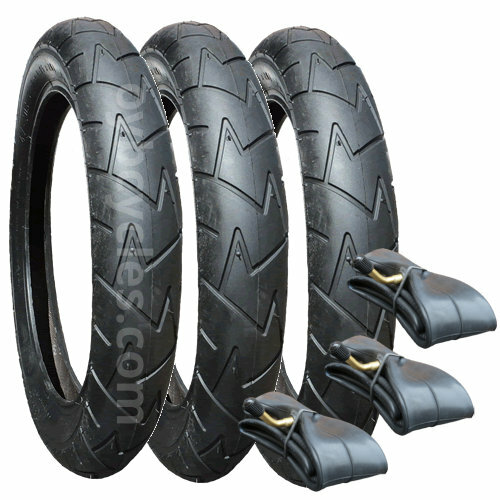 These tyres are suitable for the front wheels on the Bebetto Vulcano. 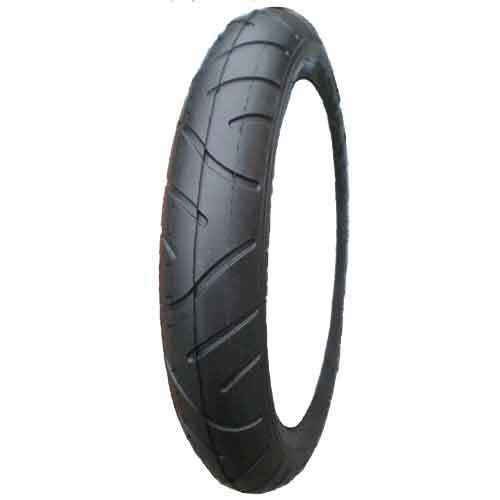 Replacement tyre plus inner tube suitable for iCandy Apple, Pear, Peach... rear wheels with tyre size 280 x 65-203 and 280 x 62-203. 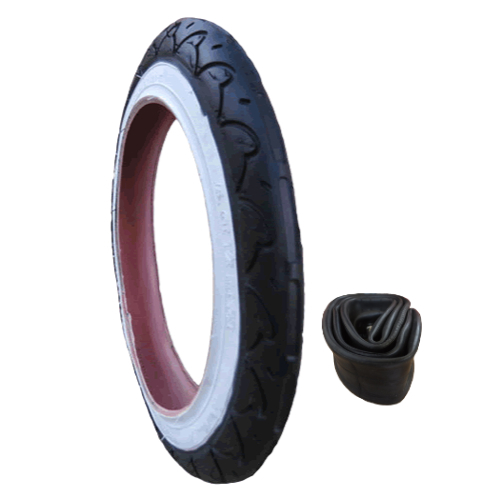 The tyre features an easy rolling tread design, the inner tube has an angled (bent) valve. Suitable for iCandy Apple, iCandy Pear, iCandy Peach and other models fitted with tyre size 280x65-203. 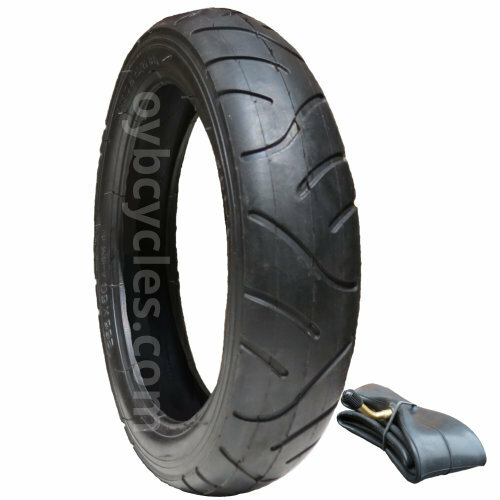 The tyres feature an Easy Rolling tread design and the inner tubes are fitted with angled valves. 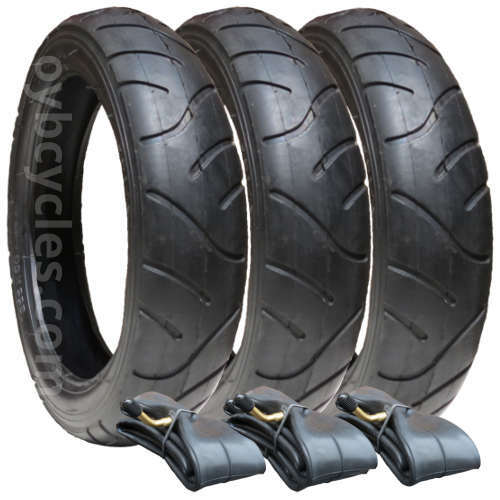 A set of 3 top quality tyres and inner tubes suitable for Out n About Nipper. 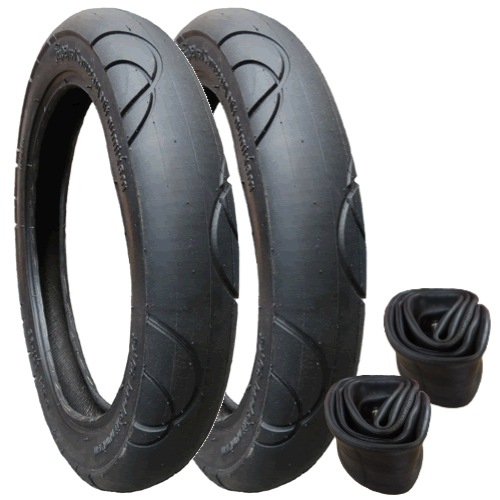 The tyres feature an "Easy Rolling" tread design and the tubes are fitted with angled valves. 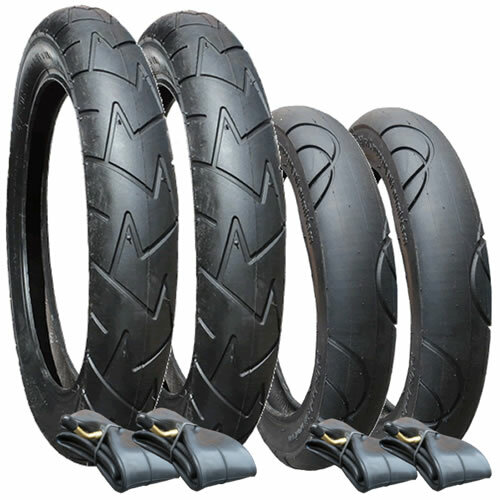 A set of top quality tyres and inner tubes suitable for iCandy Apple, iCandy Pear and all makes and models fitted with tyre size 280x65-203. This set also includes Tyre Liners to help protect against punctures. A set of 2 top quality tyres and inner tubes for Out n About Nipper. 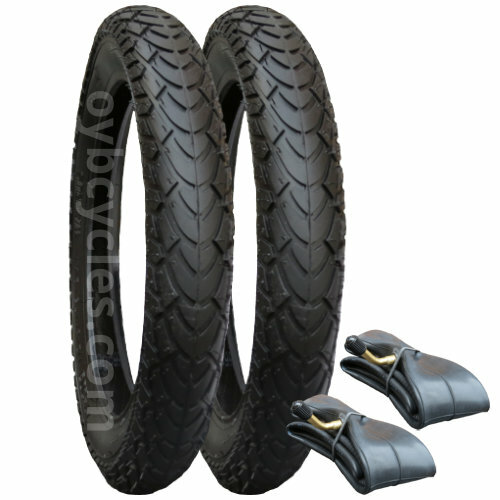 The tyres feature an Easy Rolling tread design, the inner tubes are fitted with angled valves. 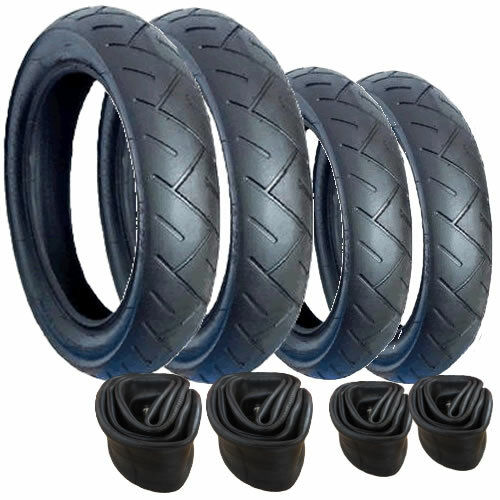 A set of 3 top quality replacement tyres and inner tubes for iCandy Apple 3 Wheeler. 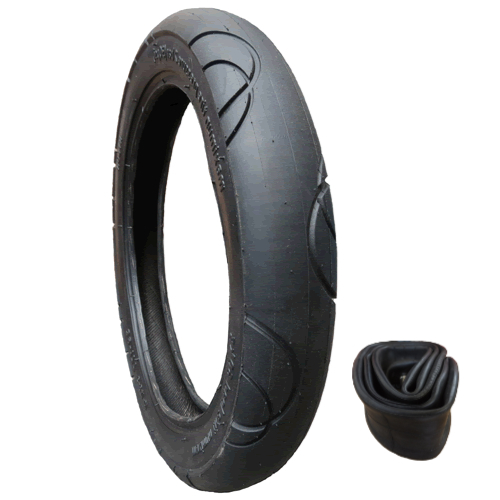 The tyres feature an "Easy Rolling" tread design and the inner tubes are fitted with angled valves for easy inflating. 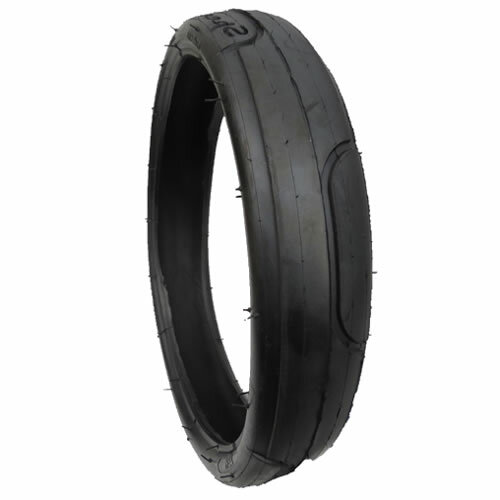 10062 - Out n About Nipper tyres and inner tubes - Heavy Duty - set of 3 - size 12"
A set of 3 Heavy Duty replacement tyres size 121/2 x 21/4 suitable for Out n About Nipper. Includes 3 inner tubes with angled (bent) valves. Put an end to punctures with this excellent value-for-money set. 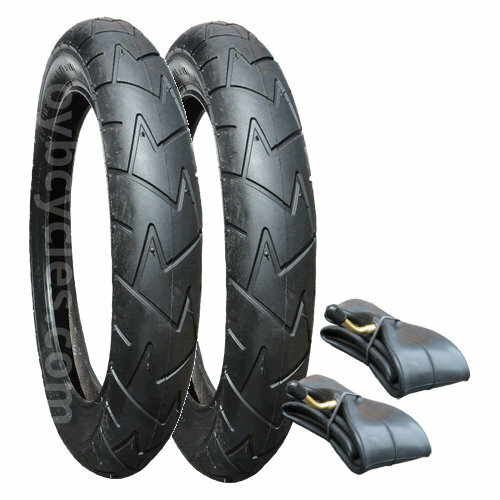 A set of 3 top quality replacement tyres and inner tubes for iCandy Apple 3 Wheeler. 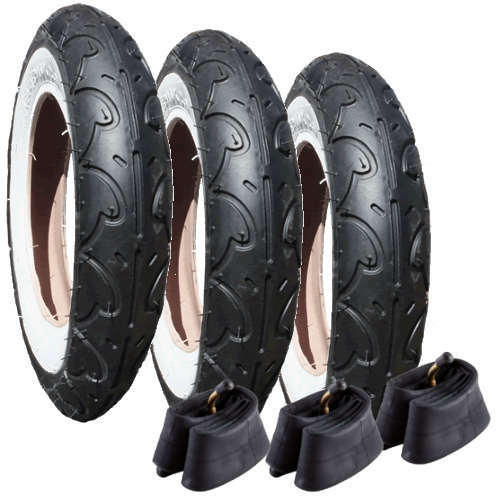 The set includes 3 tyres with "Easy Rolling" tread design, 3 inner tubes fitted with angled valves and 3 specially designed "Puncture Preventing" tyre liners. Put an end to punctures with this excellent value-for-money set. 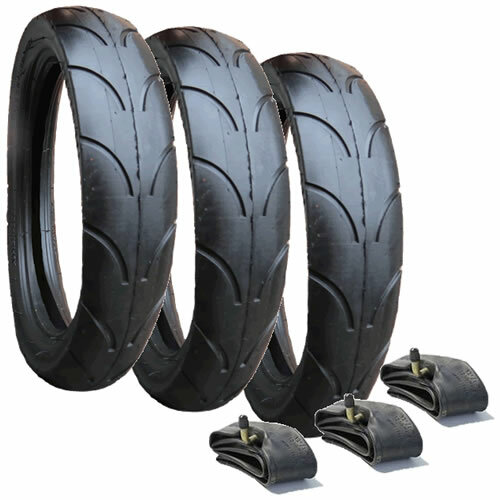 A perfect replacement for Out n About Nipper 3 wheeler, the set includes 3 top quality tyres with easy rolling tread design, 3 inner tubes with angled valves and 3 puncture resistant tyre liners. Perfect for preventing punctures caused by thorns. Protect against punctures with this excellent value-for-money set for Jane Slalom Pro. 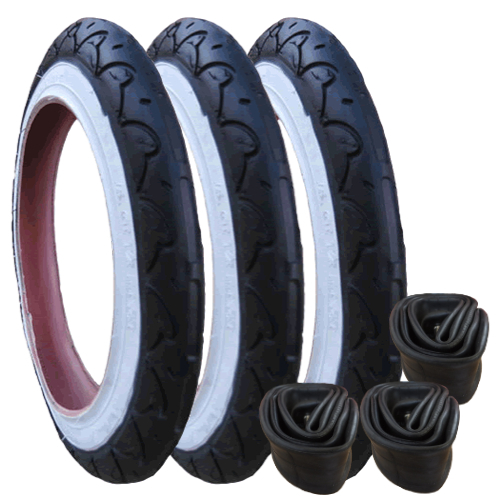 The set includes 3 tyres with an Easy Rolling tread design and 3 Slime filled inner tubes. These Self Healing inner tubes are fitted with angled valves. Protect against punctures with this excellent value-for-money set suitable for Bugaboo Donkey rear wheels. The set includes 2 tyres with Easy Rolling tread design and 2 Slime filled inner tubes. These Self Healing inner tubes are fitted with angled valves. Protect against punctures with this excellent value-for-money set suitable for iCandy Apple and other makes and models fitted with tyre size 280 x 65-203/280 x 62-203. The set includes 2 tyres with Easy Rolling tread design and 2 Slime filled inner tubes. These Self Healing inner tubes are fitted with angled valves. 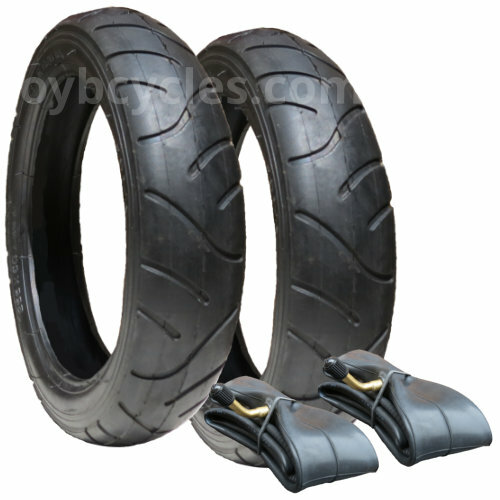 A set of 2 top quality replacement tyres and inner tubes suitable for Bebecar Evolution. The tyres feature an Easy Rolling tread design for easy pushing. The inner tubes are fitted with angled (bent) valves. These are for the 2 large wheels on the models which have the pneumatic (air filled) tyres. Protect against punctures with this excellent value-for-money set suitable for iCandy 3 wheeler, iCandy Pear, Peach, Apple... The set includes 3 tyres with an Easy Rolling tread design and 3 Slime filled inner tubes. These Self Healing inner tubes are fitted with angled valves. Protect against punctures with this excellent value-for-money set for Jane Powertwin. 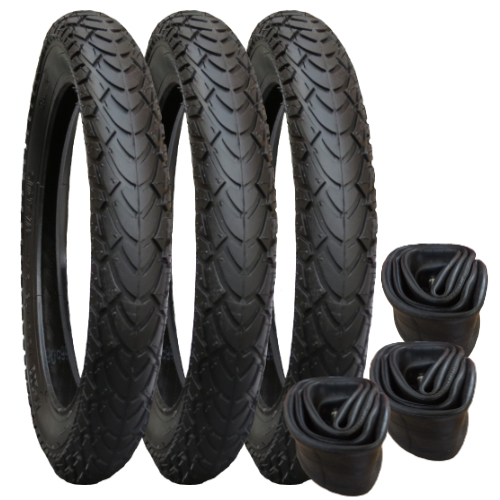 The set includes 3 tyres with an Easy Rolling tread design and 3 Slime filled inner tubes. These Self Healing inner tubes are fitted with angled valves. 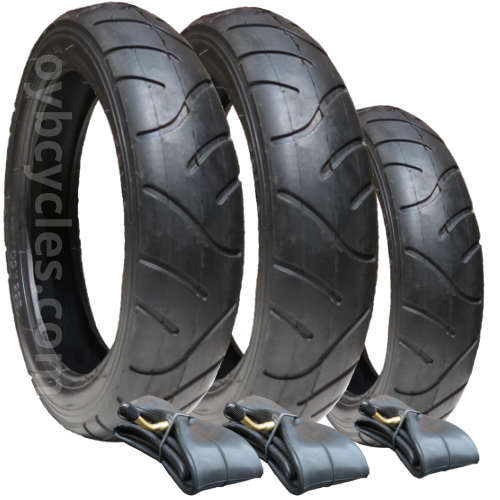 A set of 4 top quality replacement tyres and inner tubes suitable for Bebetto Vulcano. The tyres feature an Easy Rolling tread design. The inner tubes are fitted with angled valves. 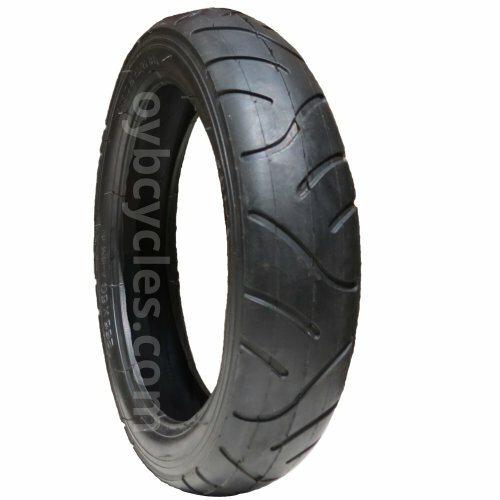 A set of 3 replacement tyres and inner tubes suitable for Jane Powertwin. 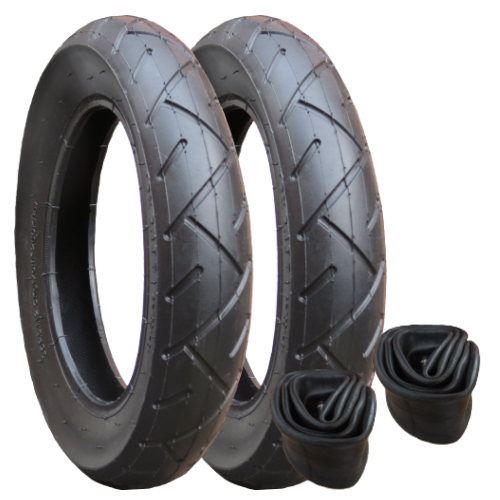 The tyres are size 270 x 47-203 and feature an "Easy Rolling" tread design. 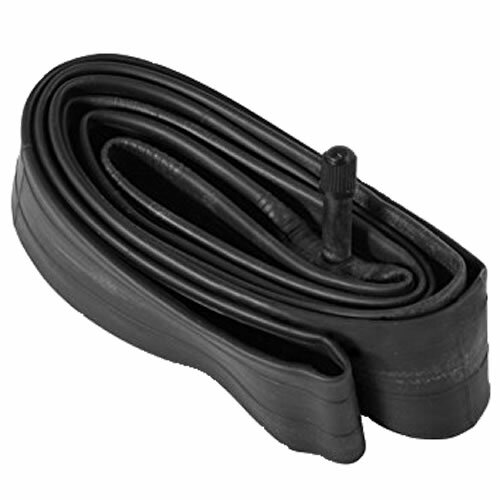 The inner tubes are size 101/2 x 17/8 (270 x 47-203) and are fitted with angled valves for easy inflating. This set is the same size as the original Jane tyres and inner tubes. A set of 3 "Genuine" replacement tyres and inner tubes for Phil and Teds Dot. These are the Genuine Dot tyres which feature an Easy Rolling tread design for easy pushing and a distinctive "White Wall". They are size 10 x 2. The inner tubes are fitted with angled (bent) valves for easy pumping. A set of 3 replacement tyres and inner tubes for Jane Slalom Pro. 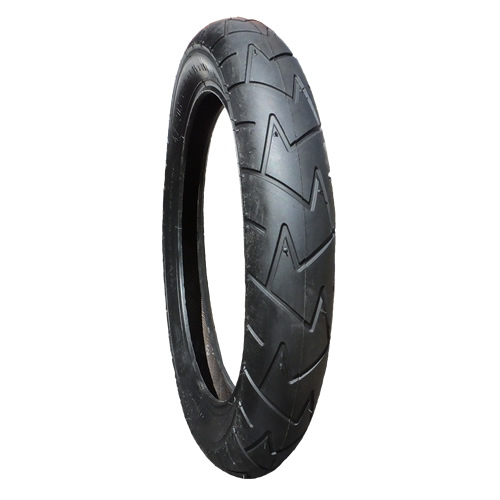 The tyres are size 270 x 47-203 and feature an Easy Rolling tread design. The inner tubes are size 101/2 x 17/8 (270 x 47-203) and are fitted with angled (bent) valves. You will also receive Puncture Protection Tape to protect against punctures. A set of 3 replacement tyres and inner tubes suitable for Phil & Teds Dot. 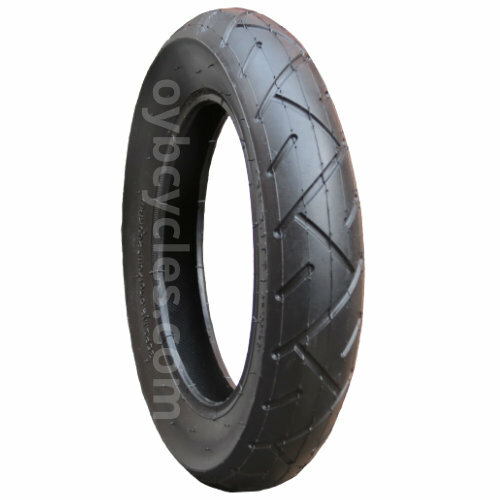 The tyres are size 10 x 2.0 and feature an Easy Rolling tread design. The inner tubes are fitted with angled valves for easy inflating. Protect against punctures with this excellent value-for-money set suitable for Phil & Teds Dot. The set includes 3 tyres plus 3 Slime filled inner tubes. These Self Healing inner tubes are fitted with angled valves. Protect against punctures with this excellent value-for-money set suitable for Out n About Nipper. 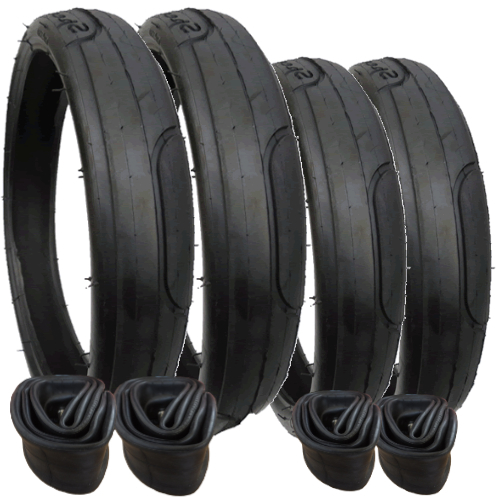 The set includes 3 tyres with an Easy Rolling tread design and 3 Slime filled inner tubes. These Self Healing inner tubes are fitted with angled valves. Put an end to punctures with this excellent value-for-money set. 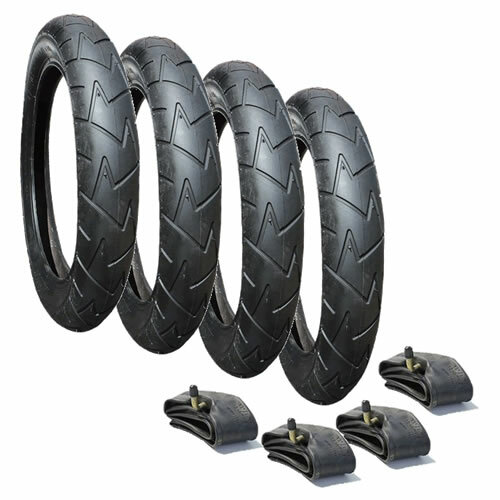 Ideal for Out n About Nipper, the set includes 3 top quality tyres with Heavy Duty tread design, 3 inner tubes with angled valves and 3 puncture resistant tyre liners. Perfect for preventing punctures caused by thorns, glass... These tyres are ideal for rural use and are excellent in the snow. Protect against punctures with this excellent value-for-money set suitable for Out n About Nipper. The set includes 3 Heavy Duty tyres and 3 Slime filled inner tubes. These Self Healing inner tubes are fitted with angled valves. A set of 3 top quality tyres and inner tubes suitable for Mamas & Papas 03. 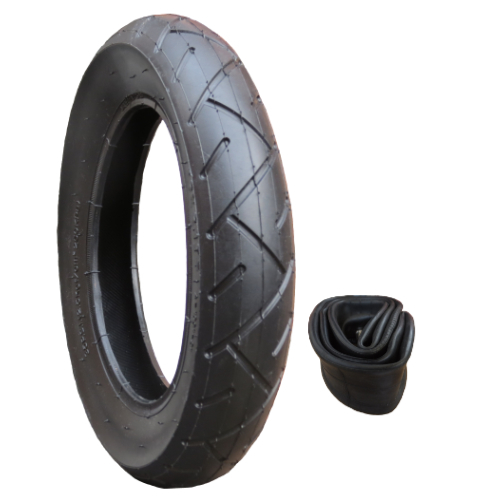 The tyres feature an Easy Rolling tread design and the tubes are fitted with angled valves. 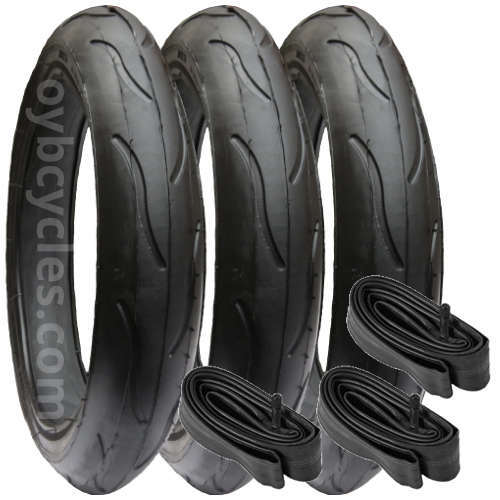 10174 - Mamas & Papas 03 tyres and inner tubes - Heavy Duty - set of 3 - size 12"
A set of 3 Heavy Duty replacement tyres size 121/2 x 21/4 suitable for Mamas & Papas 03. Includes 3 inner tubes with angled (bent) valves. Protect against punctures with this excellent value-for-money set suitable for Mamas & Papas 03 with 12" tyres. The set includes 3 tyres with an Easy Rolling tread design and 3 Slime filled inner tubes. These Self Healing inner tubes are fitted with angled valves. Put an end to punctures with this excellent value-for-money set. Ideal for Mamas & Papas 03, the set includes 3 top quality tyres with Heavy Duty tread design, 3 inner tubes with angled valves and 3 puncture resistant tyre liners. Perfect for preventing punctures caused by thorns, glass... These tyres are ideal for rural use and are excellent in the snow. Protect against punctures with this excellent value-for-money set suitable for Mamas & Papas 03 with 12" tyres. The set includes 3 Heavy Duty tyres and 3 Slime filled inner tubes. These Self Healing inner tubes are fitted with angled valves. Reduce the risk of punctures with this excellent value-for-money set. A perfect replacement for Mamas & Papas 03, the set includes 3 top quality tyres with easy rolling tread design, 3 inner tubes with angled valves and 3 puncture resistant tyre liners. Perfect for preventing punctures caused by thorns, glass etc. Protect against punctures with this excellent value-for-money set suitable for Phil and Teds Dot. The set includes 3 Genuine Phil and Teds tyres plus 3 Slime filled inner tubes. These Self Healing inner tubes are fitted with angled valves. 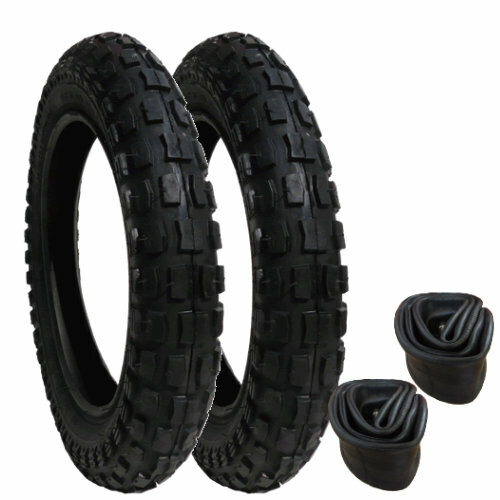 A set of 3 top quality replacement tyres and inner tubes suitable for Mountain Buggy Swift. Although these are not the genuine replacements for the Swift we have found them to be a perfect replacement. The tyres feature an Easy Rolling tread design for easy pushing. The inner tubes are fitted with angled (bent) valves for easy pumping. Protect against punctures with this excellent value-for-money set. The set includes 2 Quinny Buzz tyres and 2 "Slime" filled inner tubes. These "Self Healing" inner tubes are fitted with angled valves. A set of 2 Quinny Buzz tyres fitted with puncture preventing tyre liners. Perfect for protecting against glass and thorns. Put an end to punctures with this excellent value-for-money set. Ideal for Quinny Buzz. 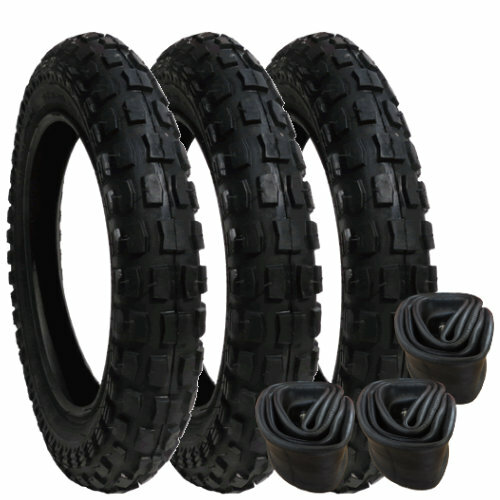 The set includes 2 top quality tyres with Chunky Off Road tread design, 2 inner tubes with angled valves and 2 puncture resistant tyre liners. Perfect for preventing punctures caused by thorns. 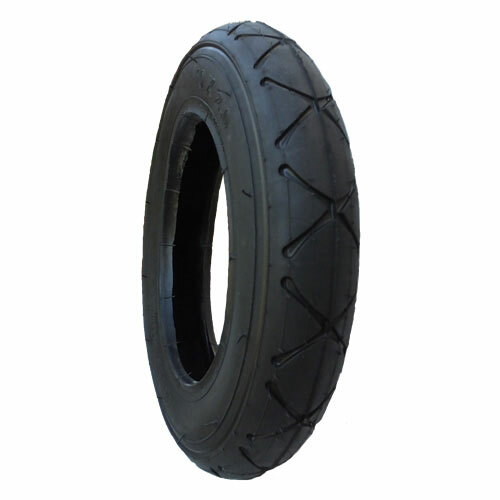 These tyres are ideal for rural use and are excellent in the snow. Protect against punctures with this excellent value-for-money set suitable for Quinny Buzz. The set includes 2 Heavy Duty tyres and 2 Slime filled inner tubes. These Self Healing inner tubes are fitted with angled valves. A set of 3 top quality replacement tyres and inner tubes suitable for Phil and Teds Dot. Although these are not the genuine replacements for the Dot we have found them to be a perfect replacement. The tyres feature an Easy Rolling tread design for easy pushing. The inner tubes are fitted with angled (bent) valves for easy pumping. 2 Quinny Buzz tyres, 2 Puncture Resistant inner tubes, plus Puncture Protection Tape. Perfect for protecting against punctures, especially from thorns.